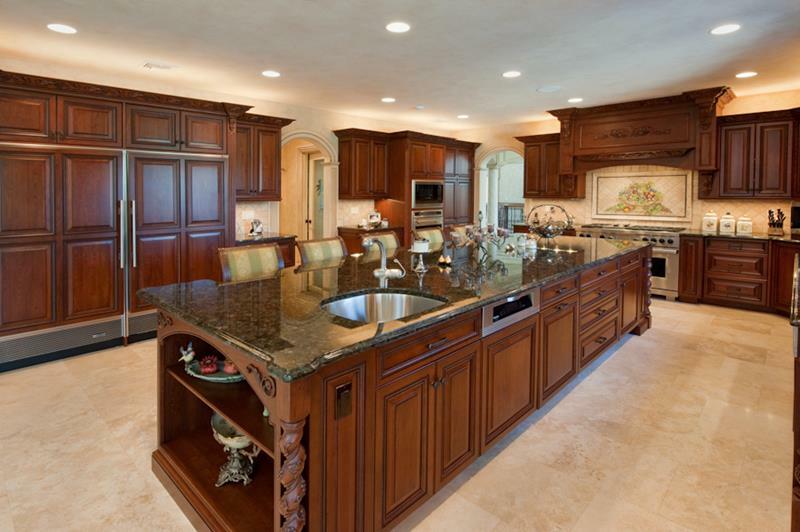 With a luxury custom kitchen, it’s always worth considering the addition of a sink to your center island. 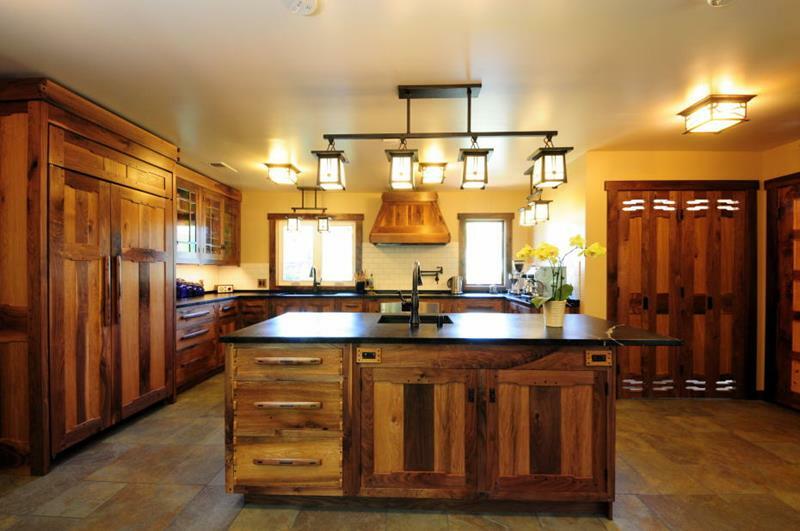 This amazing custom kitchen design adopts a modern form while using rustic materials. 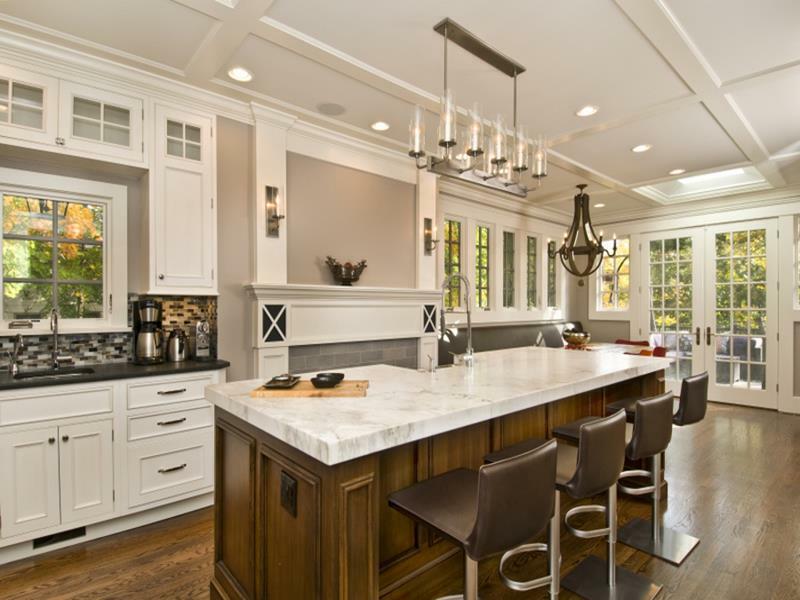 One of the most interesting elements of this custom luxury kitchen design is the unique light fixture above the center island. 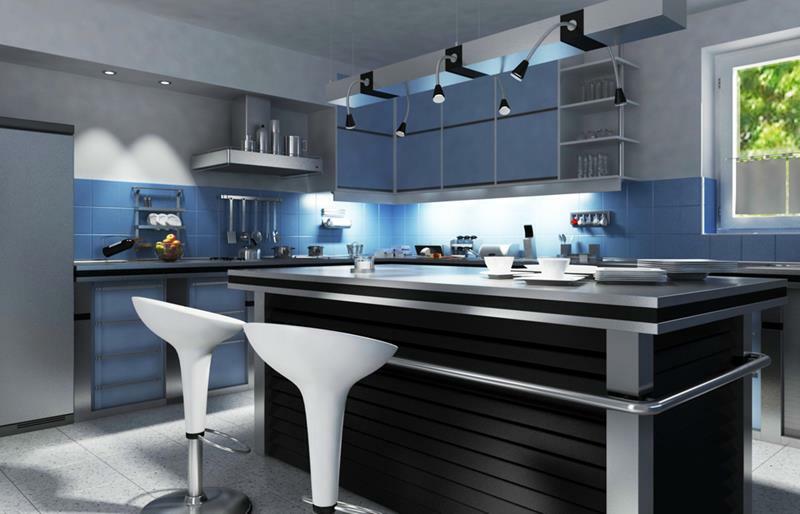 While the design of this modern luxury kitchen is decidedly classic, the choice of island stools lends a touch of modernity. 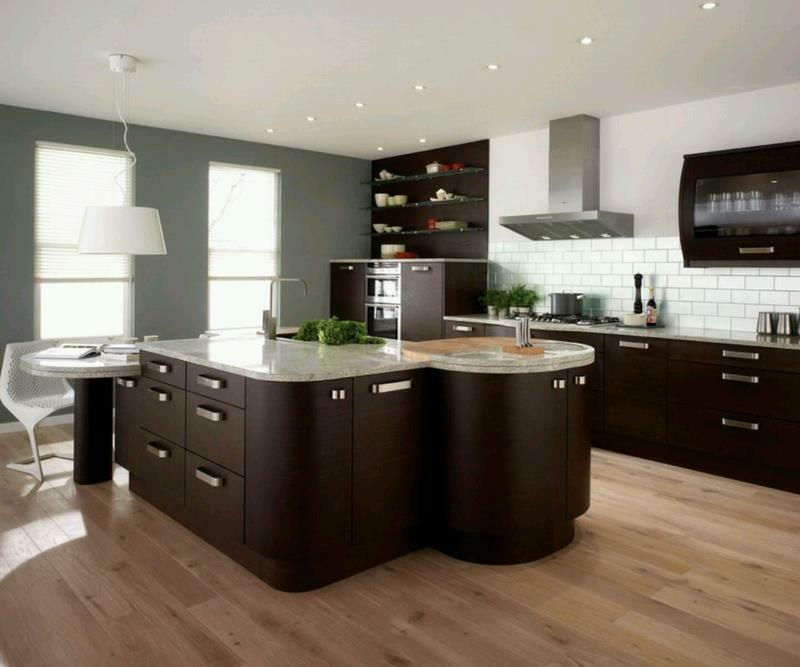 While the circular lines of the center island contribute to the visual look of this modern luxury kitchen design, they also add a level of functionality.